sorry, i need to clarify one thing first. Another one in subang, worst. The first try is RM19.90(i think la), my friend goto try it, then they say bad thing to my friend and wouldnt let her go until she sign the package. Even grab her hand leh. Until one of my friend called her, she pretend is her bf coming. Baru boleh lepas diri. I have try few slimming center like Mayfair. Non of them is like that. -->This is London Slimming Center. 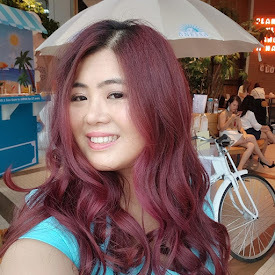 kim^kim : haha , i think 1 free trial cannot have flat tummy lol! BT : Thank you for sharing... reading your experience I feel kinda scary alrdy ! I still have pending Mayfair treatment .. yes they don't grabbed my hands eventhough trying to persuade me to add more treatments/ampoule...Go there must go with strong heart loh and without credit cards ! tell me about it..... sigh. i'm going to bella luna tomorrow. I believe they will ask me to "top-up" on top of my normal body massage and facial. oh well. I still feel sakit hati abt the london treatment! They eat one of my treatment! 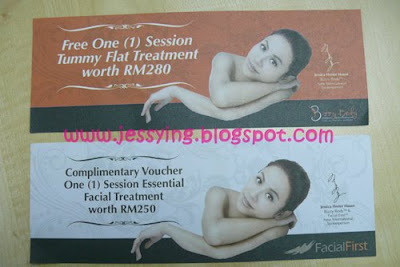 One Treatment cheap pun also RM180 leh!! like that already lose RM180. I wanna complaint to Persatuan Pengguna togehter with my friend, but friend say hard de. Cost it in package. If they count one by one treatment. We maybe need to give them money lagi. And even after the complaint, we also no dare to go cos dont know what kind of "treatment" they will give us. i hate london slimming beauty! bela luna ya.. i also their customer... the package is cheap la.. i sign up a package. pre treatment only 76-80 saja. But... the SA in time square no so good!!!! their hv one branch in Solaris. Not bad... again... i take this package just because it is cheap. hate the SA/manager Amanda. Truly a terrible manager. Eye only hv money. Very sombong!